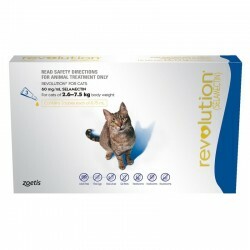 Revolution provides essential protection against fleas, heartworm and other nasties. REVOLUTION is the #1 choice among veterinarians for both treating fleas on cats and preventing feline heartworm disease.1 Your cat deserves proven protection, and you can provide it with REVOLUTION—the leader in feline parasite protection from fleas, heartworms, roundworms (Toxocara cati), hookworms (Ancylostoma tubaeforme) and ear mites. You may know fleas (Ctenocephalides felis) are a hard-to-eradicate home invader and irritant for cats. But there’s another reason all cats—both indoor and out—need flea protection year round: Fleas can transmit infectious organisms, such as Bartonella spp. and Rickettsia spp., and may act as an intermediate host for tapeworms (Dipylidium caninum). And because fleas reproduce so rapidly, an infested animal can bring them into your home and cause a severe flea infestation in as little as two weeks. Although fleas are visible to the naked eye, signs of flea infestation may not always be evident on an infested animal because cats are such persistent groomers. Carefully examine your cat's skin and coat with a flea comb and check for "flea dirt." It looks like black pepper and turns reddish brown when wet. Ear mites (Otodectes cynotis) are highly contagious feline parasites that live on a cat's skin, feeding off the debris in the ear canal. If left untreated, ear mites can lead to secondary bacterial infections, causing intense itching and discomfort. REVOLUTION® (selamectin) treats and controls feline ear mites. Roundworms (Toxocara cati) and hookworms (Ancylostoma tubaeforme) are common intestinal parasites that can damage internal organs and be fatal to kittens and adult cats. Both parasites can also be transmitted to humans. Protect your cat from hookworms and roundworms with REVOLUTION® (selamectin), which is only available with a veterinarian prescription. Good stuff. Works better than older type control for fleas etc. Easy to use, comprehensive treatment for cats. My tip is to warm it up in your hand before popping it open and applying it your cat. They hate it a little less when it's not cold liquid applied to their skin. 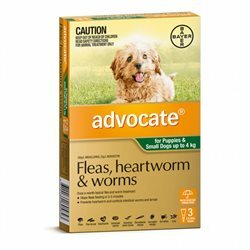 Our vet recently told us that worm tablets only protect our cats from heartworm for one month. This product solves that issue and is so easy to administer.